When does a term outlive its usefulness? Decades ago, “natural horsemanship” started out as a term to describe what was, for the most part, a more gentle, thoughtful, from-the-horse’s-perspective type of work. The phrase was used prominently by Pat Parelli and it soon became shorthand for any kind of horsemanship that wasn’t “breaking” horses or otherwise using obvious force and dominance. Trainers often used “pressure and release” (also known as negative reinforcement) as part of their natural horsemanship work. Read more about negative reinforcement here. Before you could swing a Savvy String, scores of clinicians were promoting their own brand of natural horsemanship. Some was good. Some was bad and not so “natural.” Read about the death of natural horsemanship. 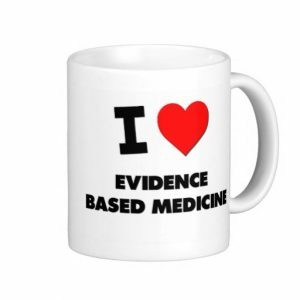 Meanwhile, in the medical world, the term “evidence-based” was evolving, too. As with natural horsemanship, patients and doctors swarmed to evidence-based medicine as they came to terms with the fact that medicine was not actually based on hard science or clinical review. Back then, medicine was based on “anecdotes, habits and hunches,” wrote Arthur Caplan. It was “eminence-based” not evidence-based, he said. “Medical decision making was not built on a bedrock of evidence or formal analysis, but was standing on Jell-O,” added David Eddy. Like horsemanship practices, the medical world was ripe for change. And like “natural horsemanship” the term has been appropriated hither and yon: evidence-based birth, evidence-based justice, evidence-based recovery. You name it. 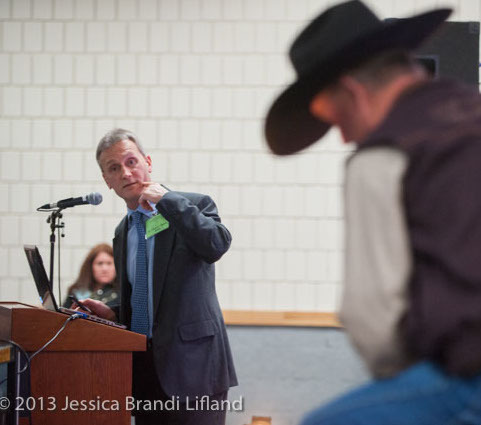 Discussion on Evidence Based Horsemanship with Dr. Stephen Peters, left and Martin Black. 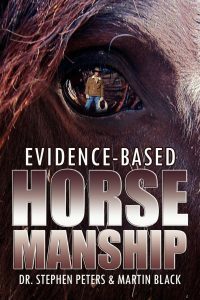 Evidence-Based Horsemanship by Dr. Steve Peters and Martin Black, was published in 2011. It was a unique cowboy-scientist collaboration that blended Peters’ neuroscience knowledge with Black’s empirical wisdom. The authors have decades of insight in their respective fields and the book, which offers a Jello-O-free foundation on horse work, has sold well. As more science comes to our horse-human world, will “evidence-based” become over-used and misused? It’s up to us, horse owners, riders, and readers of information, to be able to call the term and the work around it meaningful. Or, not so much. Read Dr. Sheryl King’s essay on learning more and demanding evidence. ← Clicker Training: Thumbs Up or Down? I usually don’t quarrel with these articles and perhaps my disagreement is more about semantics, but the EVIDENCE is that “Natural Horsemanship” is not “dead.” Clearly the term has been overused and even abused in the training world, but it’s not dead. The underlying concepts go back before clinicians and trainers such as Parelli used the term to distinguish their approaches from rote-mechanical methods that sometimes produced learned-helplessness as a side effect in efforts to generate practical behaviors. In reality, “Natural Horsemanship” related to the foundational concept for a more relationship-based approach to horsemanship from which refinements sprang. In the late 90s, my team developed what is still known as Least Resistance Training for BLM that addressed desensitizing, gentling and training BLM wild horses. That methodology, if you will, is still required to be used by TIP trainers. That term has also been misapplied by others. 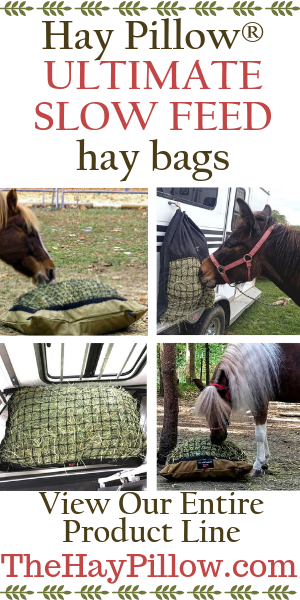 Nonetheless, the reality is that Least Resistance Training is just one step in a never-ending evolution as are a number of other offspring from the Natural Horsemanship movement. None of these are dead. They are simply steps in an evolutionary staircase that if viewed in the proper context, reveal a logical progression. My point is that EBH is another step in the staircase. From my experience it is rationally reasoned and helps provide clarity. It is an important tool in the horseman’s tool box, particularly in situations where the other tools just don’t seem to fit properly. But we need to look at this situation with what Sally Swift would call, “soft eyes.” Let’s take in the broader view. Horses are all about relationships. Some of us have worked on how best to develop those relationships to generate comfort and functionality. Peters and Black have developed the means for anyone who is interested to better understand how horses are wired in order to be more successful in these endeavors, and to better cope with experiences that horses may have had in the past that now present themselves as undesirable behaviors or undesirable responses to ordinary stimulus. Natural Horsemanship is not dead, nor are the legitimate steps in the evolutionary process that came before and after. Nor will Evidence Based Horsemanship become dead. They are all steps in this staircase of knowledge that contribute(d) to our elevation of knowledge and understanding. PS. 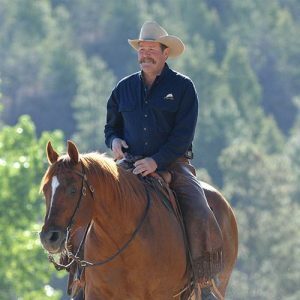 What is my evidence that “Natural Horsemanship” is not dead? Elementary, my dear Watson. Even Parelli and his crew are constantly evolving. So long as Evidence Based Horsemanship continues to evolve, by the very nature of its evolution, it will remain alive. Thanks for your lengthy comment, Willis. I hope you realize, though, that we use “EBH is Dead” and “Natural Horsemanship is Dead” as a play on words, stemming from “The king is dead…long live the king” which is to say, of course Natural Horsemanship and EBH live on, but evolve and per chance, become misappropriated sometimes. Yep. Another appropriated and overused word. Today in medicine it’s often used to deny patients effective treatment that has not been studied in the narrow definition approved by insurance companies. On the other hand (and I COULD give specifics but I won’t) mysteriously many studies that failed to support the theoretician’s or corporation’s commercial purposes, go to the dead pile and simply aren’t published. Hence, “No negative studies on x…” Call me cynical.